From the currant Technique Junkies Newsletter. 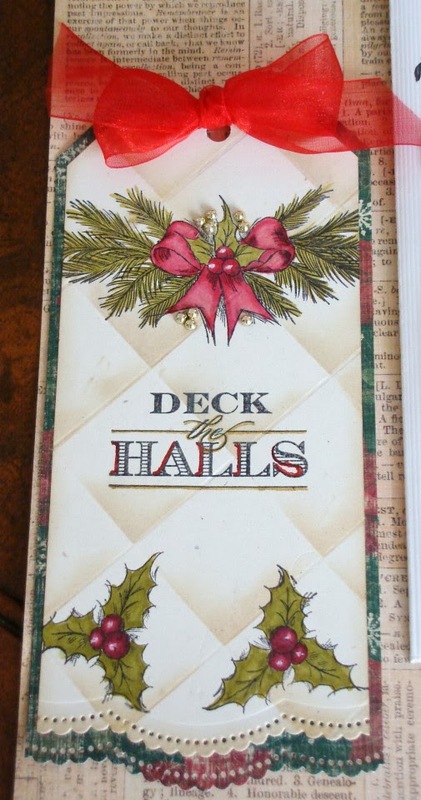 Shadow Tiles tag, stamp credits CTMH. Vintage Ladies Tag, (Circle Strips) opens up, has new Spellbinders Border Die. 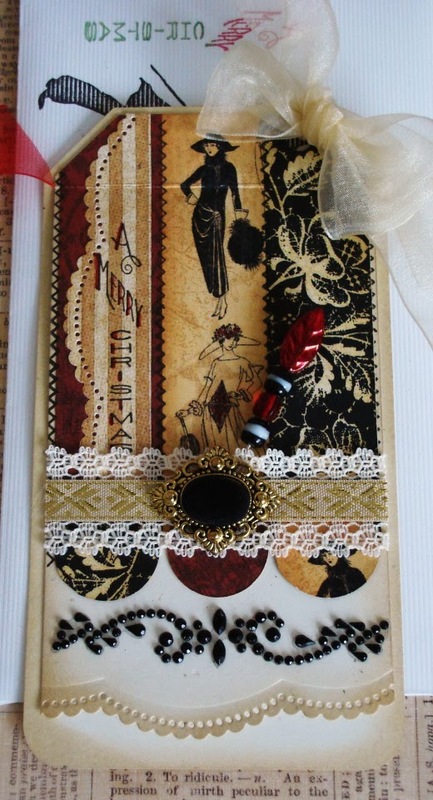 Stamp credits Tim Holtz. 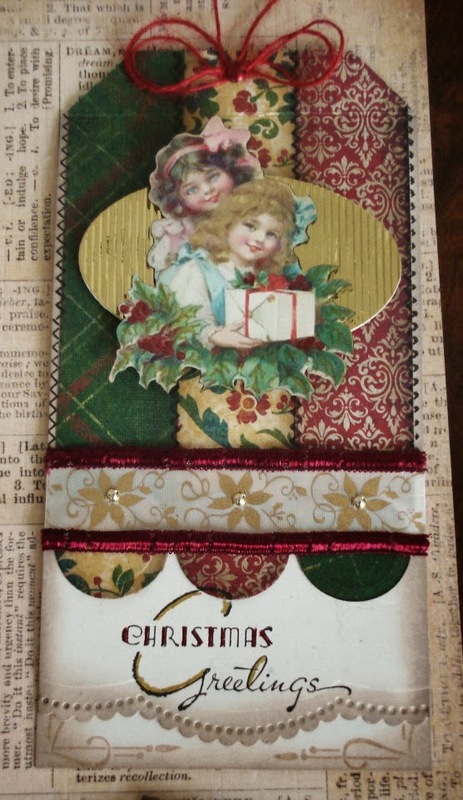 Two Little Girls with package, (Circle Strips) also opens up, stamp credits Tim Holtz and Spellbinder Border Die. 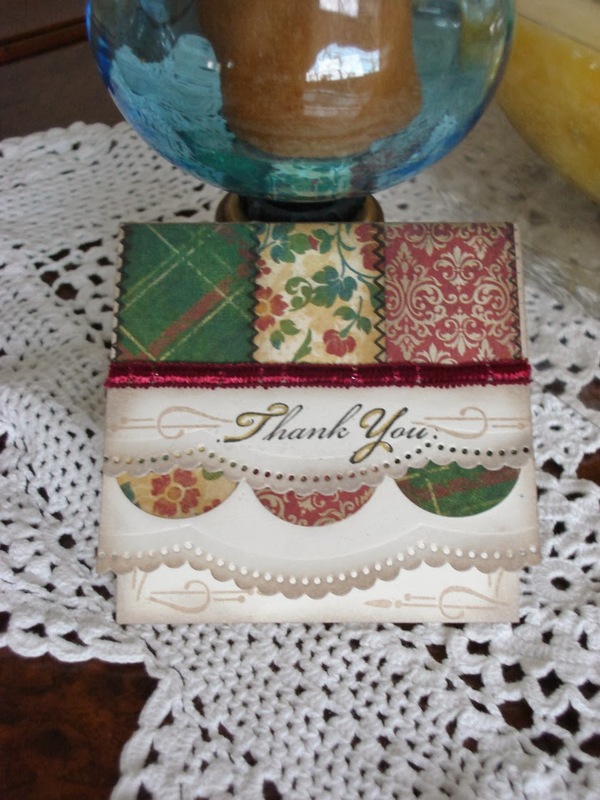 Same for small Thank you card and envelope. Thanks for stopping’ in, have a wonderful week-end. Stay warm. These look just amazingly gorgeous, love the paper. Nice blog header! I need to change up my blog! Beautiful tags and thank you card! Love those tiles and you really work wonders with the circle strips! You always put everything together so perfectly, Miss Vada! BTW, did you ever find the frosted film? I checked a couple of places online for you, but they were out. Not sure where mine came from, but I can send you some if your little sweet heart desires! Hugs! 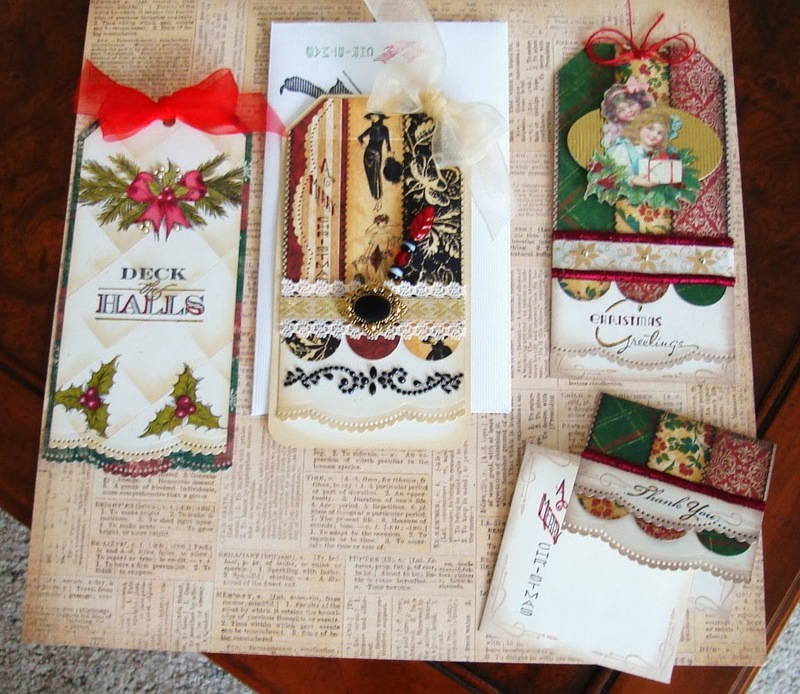 Beautiful projects, perfect for Christmas. Beautiful cards and techniques Vada! Loving the tiles- I will have to try this : ) Love your colors and DP- so beautiful!